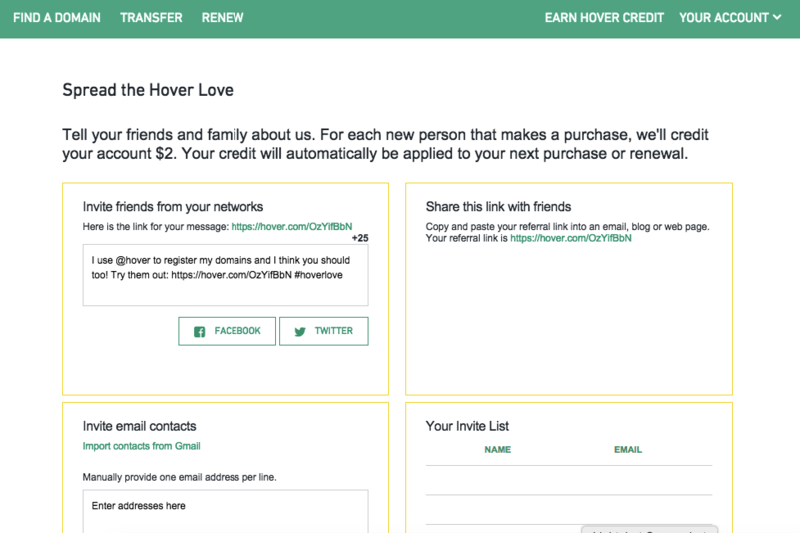 Does Hover have a Referral Program? Or an Affiliate Program? Yes, they do have a referral program. There is no affiliate program though. Hover is a domain name registrar, which means people can buy domain names off them. You may not see from the outside as a non-user, but they do have a referral program. It’s nothing significant, as their prices and value that they give are very good already. But they’ll credit your account with $2 USD for your future domain name registration with them. I won’t go into too much more detail about why I like them in this post (you can read more about them and their no frills approach to domain name registrations here). But this answers a common question that webmasters and web designers may be looking to see.